`A candid, warm, sad, surprisingly funny, raw, brave, bittersweet book.' - MATT HAIG `Chase the Rainbow is a game-changing book. Poorna Bell's moving account of the pressures on modern men could be a life-saver. This is a brave and bold work that will inspire us all to talk openly and honestly about depression once and for all. Everyone should read this book.' - ARIANNA HUFFINGTON`I recently devoured this book in a couple of days. It's so beautifully written, honest and beyond thought-provoking. I urge you to delve into its courageously written pages to learn about Poorna Bell's story.' - FEARNE COTTON`A story of love and loss and a vital contribution to the mental health debate. A great read.' 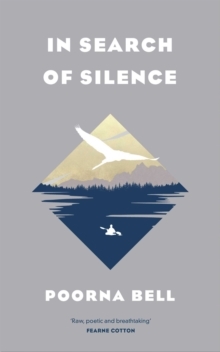 - ALASTAIR CAMPBELLAn honest yet uplifting account of a woman's life affected (but not defined) by the suicide of her husband and the deadly paradox of modern-day masculinity. Punk rocker, bird nerd and book lover Rob Bell had a full, happy life. He had a loving wife, a big-bottomed dog named Daisy and a career as a respected science journalist. But beneath the carefully cultivated air of machoism and the need to help other people, he struggled with mental health and a drug addiction that began as a means to self-medicate his illness. In 2015, he ended his life in New Zealand on a winter's night. But what happened? How did a middle-class Catholic boy from the suburbs, who had an ocean of people who loved him, and a brain the size of a planet, end up dying alone by his own hand? How did it get to this point? 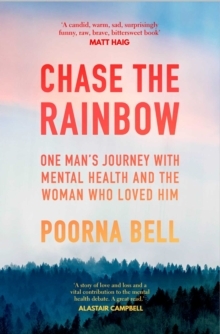 In the search to find out about the man she loved, and how he arrived at that desperate, dark moment, Poorna Bell, former executive editor and global lifestyle head for HuffPost, went on a journey spanning New Zealand, India and England to discover more about him. Chase the Rainbow is an affecting, poetic, and deeply personal journey which teaches to seek hope and happiness, even in the most tragic of circumstances. Shattering the stigma surrounding depression and suicide, Poorna Bell challenges us talk about what we most fear, and to better understand the personal struggles of those closest to us. 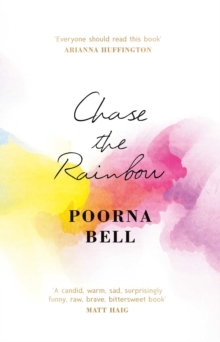 `Forget Nicholas Sparks, Poorna Bell's debut book is a real-life tearjerker like no other.